BFFID10 FID Bench is a comprehensive, durable, portable and functional fitness tool that is perfect for dumbbells and barbell exercises. This device comes with five starting positions from ten-degree negative decline to seventy-degree positive incline. It also features tough and comfortable upholstered pads with powder-coated finish. One can get the desired results for his/her overall health with this FID bench at the comfort of your home. A well-matched preacher curl assembly with safety pins and bolts that gives easy adjustments makes it a good assembled fitness tool. 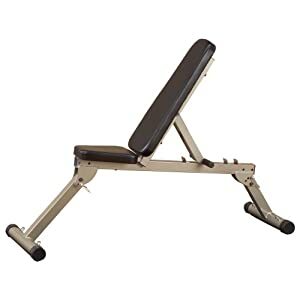 Order this workout bench right away to get a good muscled arms and legs, slim waistline, stronger back and a defined chest, which also comes with a warranty for three years. Seca Robusta 813 High Capacity Digital Floor scale is made of solid steel construction and can support a weight capacity of 440 pounds. 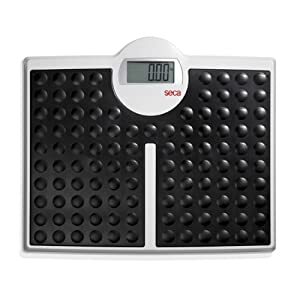 This digital floor scale has a flat shaped design with a wide and non-slip rubber platform. Large LCD monitors display the readings and the step off function shows weight upon treading off the scale without having to switch on the scale. Existing customers are happy with this digital floor scale due to its durability and accuracy. Although bigger than a bathroom scale, this scale can cater to the needs of people with special requirements.